Rixos is one of the fastest growing luxury hotel chains in the world with traditional Turkish hospitality and unique SPA experience since 2000. Turkey, Croatia, Switzerland, Kazakhstan, Ukraine, Libya, United Arab Emirates, Egypt, Azerbaijan and Georgia situated luxurt hotels are serving worldwide. 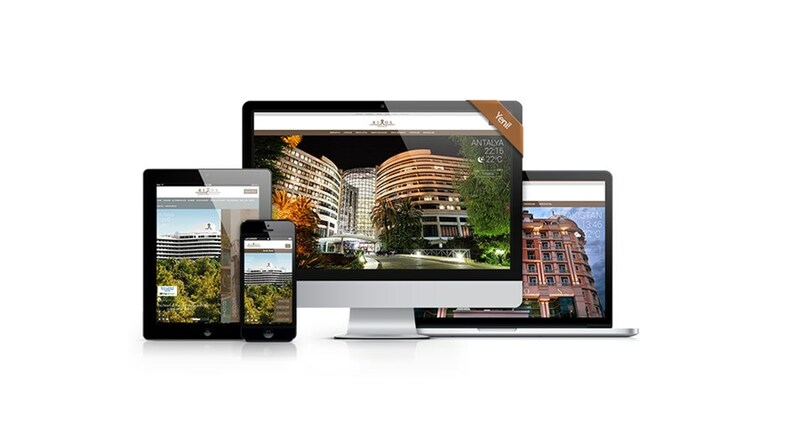 The project for Rixos aims to provide an integrated user experience across all digital channels. It is planned to reflect the brand value of the project in the best way. It is also aimed to reach the business goals most effectively and to contribute to the content of users through social network interactions. LuckyEye has been working actively with Rixos throughout the entire project and has implemented the digital experience management that best suits with the organization's goals. Especially the experience created is aimed to increase online sales revenues by increasing the efficiency of digital channels. With Rixos Digital Experience Management, the most appealing approach to the target audience has been chosen. Supporting Rixos guests with faster and easier access to information, stylish and modern interactive tools, digital channels that users can experience comfortably online, Corporate web site and corresponding language options under different domain names on each hotel web site to support the design concept with LEDIS content management system and to create the user experience that best reflects the project objectives of the prepared design. Rixos competitor analysis before developing digital channels were taken into consideration by performing in Turkey and worldwide user habits. It has been worked to enrich digital channels with social and interactive features. The needs of the institutions listed, the screen resolution of the device areas in the world and Turkey considered the brand and digital channels has been developed with responsive design approach.